The SCV-3120 is an indoor/outdoor vandal-resistant dome camera with a 12x auto focus zoom lens. This is a high performance model that features Wide Dynamic Range (WDR), true Day / Night operation with ICR, and remote setup via coax or RS-485 communication. 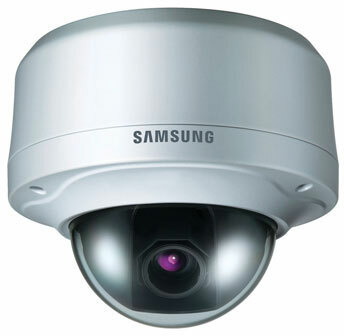 It has a die cast aluminum chassis and polycarbonate dome to give it durability and it is IP66 rated.